Despite staying three nights in Sendai (仙台) I didn’t get to see all that much of it as I was using it as a base to visit other areas. Still, what I did see of Sendai I liked. It seemed like a very livable city, not too dissimilar to Nagoya really, and it’s certainly a place I would like to return to. All around the station area there are loads of shops and restaurants (including a massive Loft department store – yay!) and these wonderful elevated walkways which mean you don’t have to walk at traffic level. 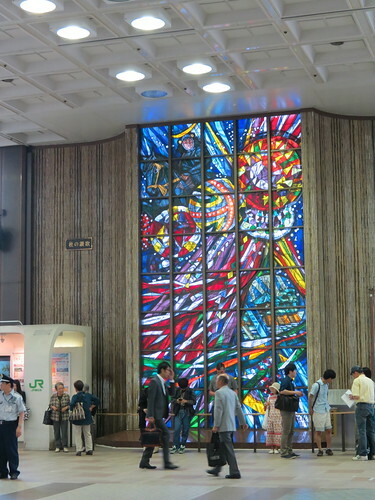 The station’s pretty big, and as well as being quite well connected by train (both overground and underground) the city has a good public bus system and a tourist bus called Loople Sendai (るーぷる仙台). 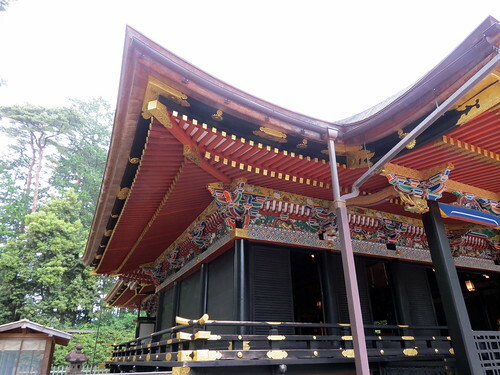 A one-day ticket on Loople Sendai is only ￥620 for an adult. 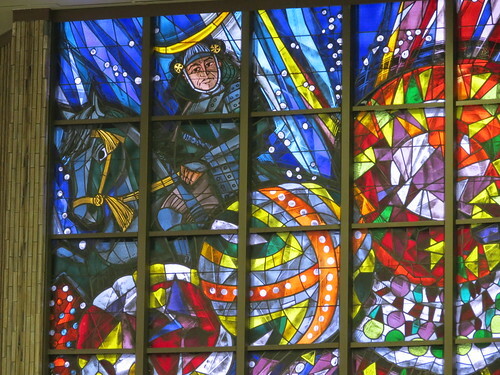 Close-up of Sendai Station’s stained glass window showing Date Masamune. 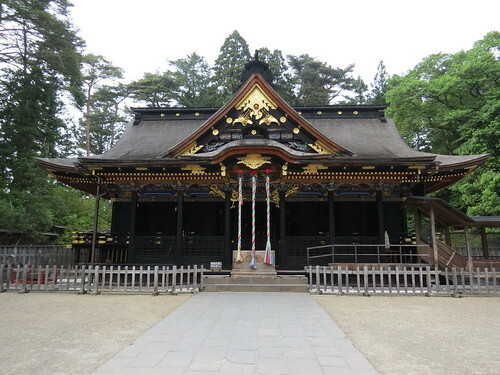 In the little time I had to explore the city, I decided to just visit one site, and that was a shrine called Osaki Hachimangu (大崎八幡宮). 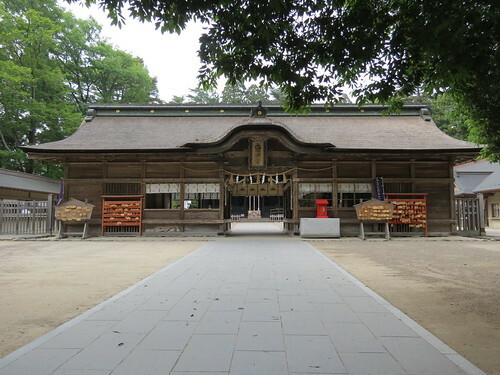 Osaki Hachimangu was constructed in 1607 under the order of warrior, leader, and eventual founder of modern-day Sendai, Date Masamune (伊達政宗). 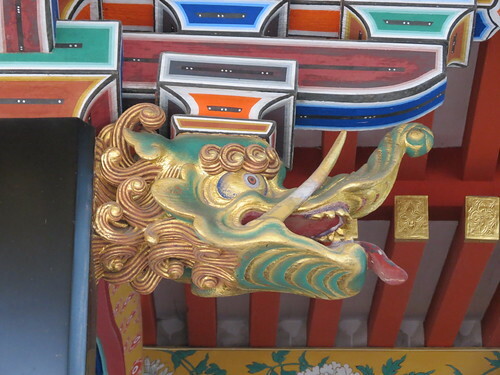 The deity of Osaki Hachimangu is Hachiman, the Shinto god of war, who is considered to be a general guardian and protector of Sendai. 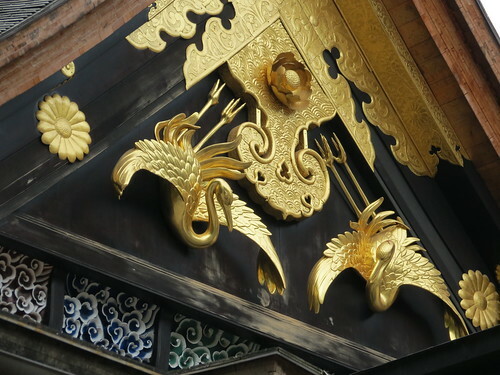 Unusually, parts of the shrine are covered in black lacquer, and parts are decorated with gold leaf and bright colours reminiscent of those at Nikko Tosho-gu (日光東照宮). As shrines go, I’d say it’s one of the more interesting ones to look at. 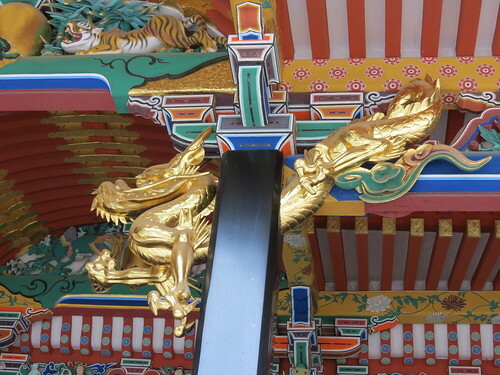 I barely scratched the surface of Sendai, so I will have to go back sometime and see more. 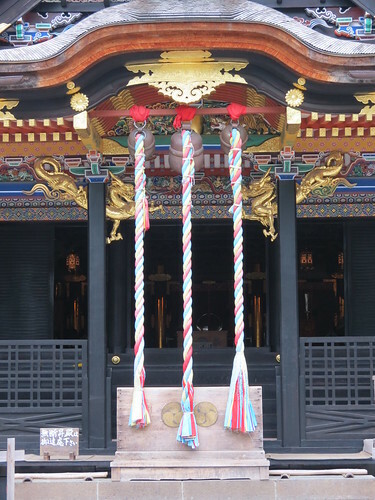 One day I’d love to visit during the famous Tanabata (七夕) Festival in August – Sendai is well and truly on my list for a future trip to Japan! 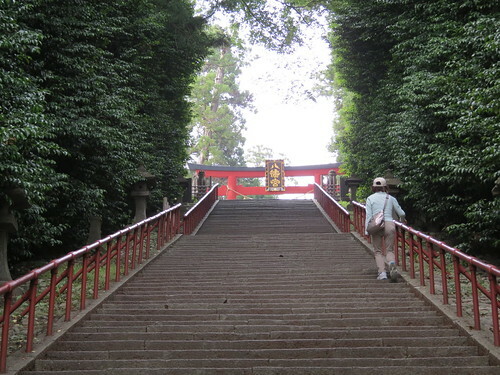 Thank you for writing about Sendai nicely,and great pictures of Osaki HachimanSshrine. I’m looking forward to your return to Sendai. 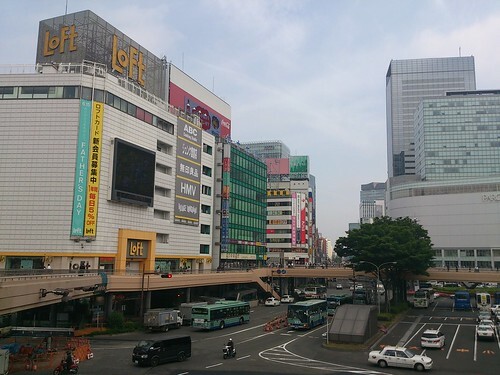 Sendai is a city I have visited dozens of times but always to go shopping or for lunch. I’ve stayed there a few times when using the ferry or the airport but other than the main shopping areas near the station which have grown in recent years, the remains of the old castle and a visit to 東北学院大学 which one of my ancestors helped found I haven’t seen much of the city. 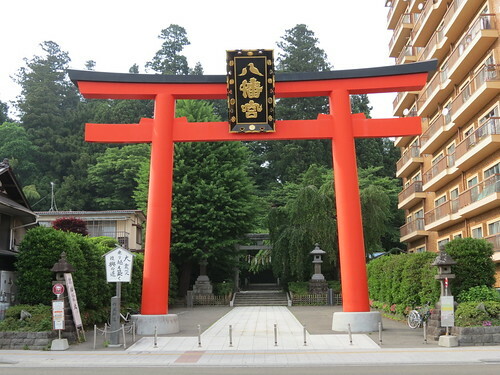 I never knew there was such an nice shrine in Sendai. On my next visit to eat 牛タン I will be sure to check it out. Your photos have made me so glad we’re staying there for a night. Wish we’d gone for a bit longer now!